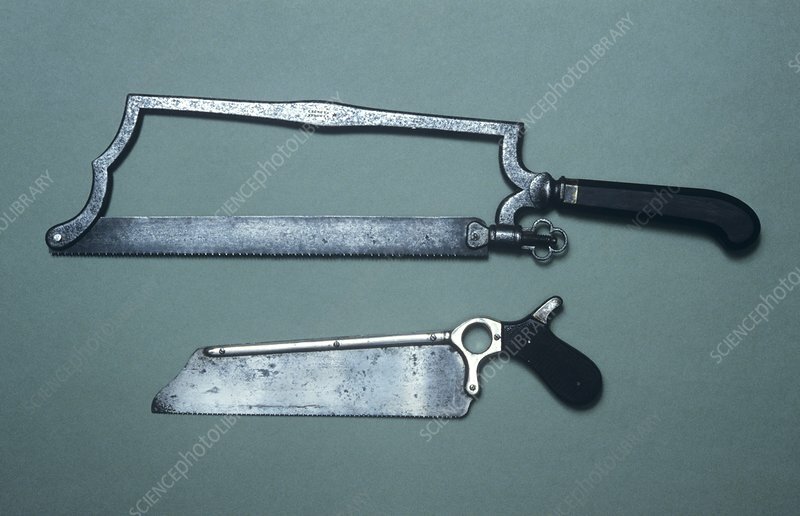 Two leg amputation saws with ebony handles. These date from the eighteenth and nineteenth centuries and are French or English in origin. Amputation procedures involve the surgical removal of diseased limbs. Amputation was generally the only treatment option when infection or trauma occurred in the limbs and extremities (such as the fingers) in nineteenth century medicine, before the introduction of antibiotics and more refined surgical techniques. In this era, pre-anaesthesia and before the implementation of antiseptic techniques, survival rates for amputees were very low.